Check back here often to find news and information regarding league games and tournaments! Week 16 is "Position Week" Find out what night you are playing by looking at the schedule page. Week 9 is "Position Week" Find out what night you are playing by looking at the schedule page. The playoffs are over and all the results are in. Congratulations to all teams for a great season! Find out what night you are playing by looking at the schedule page. The 2nd half of the schedule is complete. Week 7 is "Position Week" Find out what night you are playing by looking at the schedule page. Summer League starts Monday night June 4th at 6:30 pm. The Winter playoffs are over and all the results are in. The 2017/2018 winter league schedule is available on the schedule page. Summer League starts Monday night June 5th at 6:30 pm. You can download a copy of the summer schedule from the schedule page. Find out what night you are playing by looking at the schedule page. ***You can also find an updated playoff bracket by clicking here. Week 16 is the second of two "Position Weeks" Find out what night you are playing by looking at the schedule page. Week 8 is the first of two "Position Weeks" Find out what night you are playing by looking at the schedule page. The 2016/2017 winter league schedule is complete and has been posted on the schedule page. The games scheduled for Thursday August 25th will be made up on Wednesday September 28th starting at 6:30pm. Week 12 is the second of two "Position Weeks" Find out what night you are playing by looking at the schedule page. Summer League starts Tuesday night June 1st at 6:30 pm. The winter league schedule is complete and has been posted on the schedule page. The games scheduled for Tuesday June 2nd have been postponed until Thursday June 4th. The courts took a lot of water over the last several days and are not in very good condition. Summer League starts Tuesday night May 27 at 6:30 pm. The meeting for the Summer League will be held on Thursday May 8th at 7:00 pm at the Foggia Social Club. The Foggia Social Club is located at 73 North Main Street in Leominster MA. The league start date is planned for May 26th. Contact Joe Fraticelli, Joe Siciliano or Sal Perla with any questions. Week 16 is the second of three "Position Weeks" Find out what night you are playing by looking at the schedule page. The winter league schedule has been revised due to the Blizzard last week and has been posted on the schedule page. If you haven't paid for your team or club membership there will be another sign up night at the Foggia Club on Wednesday October 22 at 6:30 pm. The winter league is planning to start on November 3rd. Please download and print a Team Roster and Club Membership Waiver before you arrive at the club. This years boccce banquet will be held on October 4th 6PM at the Eagles 456 Litchfield St, Leominster. Bocce players are allowed to enter for free and guests will be charged $10 at the door. The games scheduled for Wednesday August 13th have been postponed due to the weather. These games will be made up on Thursday August 14th starting at 6:30pm. Week 12 is the first of two "Position Weeks" Find out what night you are playing by looking at the schedule page. Week 6 is the first of two "Position Weeks" Find out what night you are playing by looking at the schedule page. The meeting for the Summer League will be held on Thursday May 15th at 6:30 pm at the Foggia Social Club. The Foggia Social Club is located at 73 North Main Street in Leominster MA. The league start date is planned for May 27th. Contact Joe Fraticelli, Joe Siciliano or Sal Perla with any questions. The games scheduled for Tuesday December 17th have been postponed due to the weather. These games will be made up on Thursday December 19th starting at 6:30pm. The playoffs are over and all the results are in. The games scheduled for Tuesday July 23rd will be postponed due to the afternoon rain that flooded the courts. These games will be made up on Thursday July 25th starting at 6:30pm. Tonights games have been postponed due to the weather. These games will be played Thursday June 20th starting at 6:30pm. Summer League starts Tuesday night May 28 at 6:30 pm. The winter league schedule has been updated through the end of the season and has been posted on the schedule page. Join us Tuesday Night October 9th for the playoff finals where either La Famiglia, J.D.A., Caspian AC or the Hawks will be crowned 2012 Champs. Joe Siciliano will be manning the grill cooking hamburgers and hot dogs during the night! Tonight's playoff games have been postponed due to the weather. We will make these games up tomorrow (Oct 3) at their scheduled times. The games that were already scheduled for October 3 will be played on Thursday October 4th. There is a new local tournament for October 6 & 7, 2012 posted on the tournaments page. Summer League starts Tuesday night May 29 at 6:30 pm. The meeting for the Summer League will be held on Friday May 18th at 7pm at the Foggia Social Club. The Foggia Social Club is located at 73 North Main Street in Leominster MA. The league start date is planned for May 29th. Contact Joe Fraticelli or Joe Siciliano with any questions. The 2nd half winter league schedule has been posted on the schedule page. Here is a picture of the squares for the Foggia super bowl pool. Good Luck everyone! I am sorry to announce that the bocce banquet scheduled for this Friday night has been canceled. Frank Bovenzi is currently being hospitalized with an unknown illness. I will try and pass on any updates I receive on his condition. It is not know at this time if a future date will be rescheduled for this event. If a new date is announced I will pass it on immediately. I spoke with Joe Pellegrini and he told me that the Foggia Club will be open this Friday Night at 7 pm for drinks and pick-up games to any Leominster Bocce League or Foggia Club members. We will order pizza as soon as it’s known how many people are going to show up. If anyone would like to bring a snack or desert you are more than welcome! We will also be able take your membership & team applications for the upcoming winter season this Friday night as well as at the Sign-Up meeting already scheduled for October 7th. Congratulations to all for a great season! 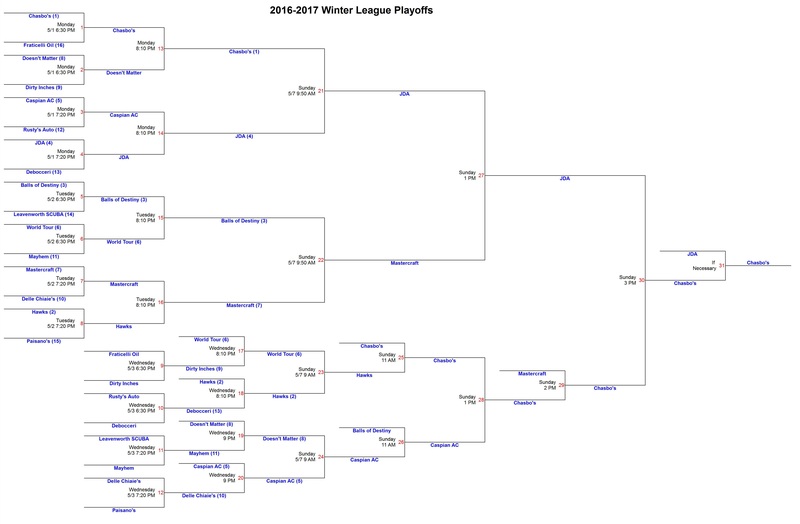 The completed playoff bracket can be viewed by clicking here. We will make up these games on Monday September 12th. These games will start at their regularly scheduled times. Plese see the schedule page to see the effect on position week these delays cause. There is a new local tournaments for October 1, 2011 posted on the tournaments page. The summer league schedule has been posted on the schedule page. Please look carefully at week 14. All teams will play on Monday August 29th. We will not be playing Tuesday & Wednesday that week. The rain date (if neccessary) for week 14 will be Thursday September 1. The 8:30 games that were not played because of the weather will be played Monday July 11. These games will start at 6:30pm. The meeting for the Summer League will be held on Tuesday May 3rd at 7pm at the Foggia Social Club. The Foggia Social Club is located at 73 North Main Street in Leominster MA. The complete winter league schedule has been posted on the schedule page. Check out the new discussion forum where you can post your comments regarding bocce and our league. Email Joe Fraticelli with questions and comments about this web site.